Here are some makeup Christmas gift ideas that are each under $15! These are great to give as small gifts, stocking stuffers, or to add to something you may have already purchased. These were released last year and I've done several reviews on them. 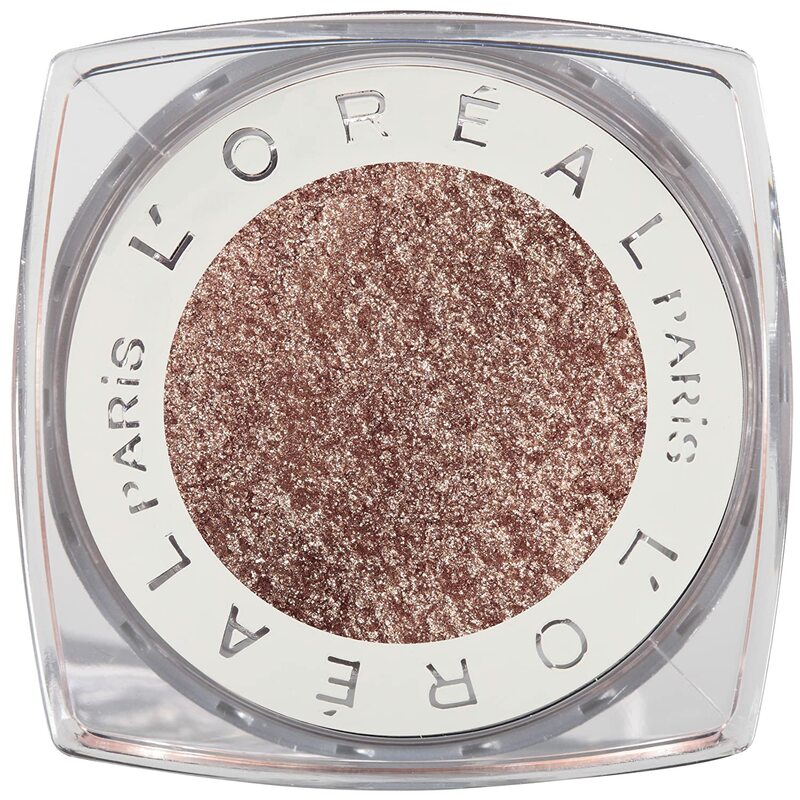 They're a cross between a pigment and a pressed eyeshadow and are one of the smoothest eyeshadows that you'll ever swatch in the store. They are very shimmery and perfect for the holidays! Available at both Sephora and Amazon, this is the perfect pair of nail polishes that will look great on almost anyone. The combination of a nice light pink and a glittery nail polish will be sure to create many fun designs and looks. The packaging is also really nice and will look great as an addition to any gift (or in a stocking!). I've been seeing a lot of fragrances from Demeter recently as they were just added to the Beauty section in my local Real Canadian Superstore (grocery store). If you live in Canada and near a Superstore, check to see if they have these new and exciting fragrances. They have many different scents (like 'Snow' as pictured below!) and they all surprisingly smell exactly like what they're named for! At Superstore, they're $15 for one or 2 for $25. Even if you're not interested in buying one, definitely test them out in the store! They are available at the Demeter website or on Amazon. If you're shopping for a few friends or a nail polish lover, this 15-Piece Nail Polish Set from E.L.F. is a great deal. You can either purchase it as a gift for one friend, or split it up and give them as stocking stuffers to several friends. The set comes with a great combination of neutrals, brights and glittery nail polishes. This is available from the E.L.F. website. Want a smaller set? There's a set of 3 E.L.F. 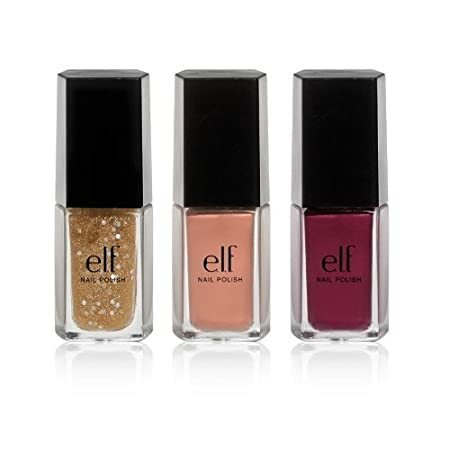 nail polishes available on Amazon for $3.99. NYX makes great eyeshadows that are comparable to some of the best makeup brands. These 10-Color Eyeshadow Palettes make a great gift for someone who is either always on the go, or someone who likes trying out different makeup looks. At only $10.00 from NYX or $9.75 on Amazon, these palettes are great to give on their own, or as a stocking stuffer. They come in many combinations from neutrals to brights. These lip balms were new in Canada last year and have been really popular. These are great to give as stocking stuffers because they're bright, fun and come in a variety of colours and flavours. The one pictured below is in Peppermint and applies clear, but there are other flavours that will add some great colour to your lips. In my opinion, they're the best drugstore tinted lip balm for your money. I think this would be a great gift for teens or tweens because of the fun packaging and the selection of colours and flavours. They're available right now on Amazon for $2.97, but are also available at WalMart and Shoppers Drug Mart for anywhere between $3-6. A little more festive and sophisticated, Revlon Lip Butters are another tinted lip balm available from the drug store. 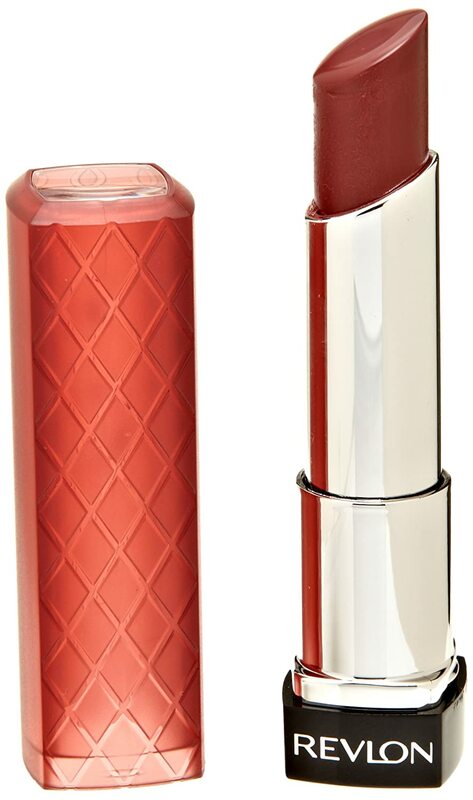 This is a great gift for someone older on your list or someone who enjoys wearing deep, rich lip colours this time of year. The one pictured below is in Red Velvet and is a classic red colour that will never go out of style. Other shades are available as well, but each Lip Butter is nourishing, smooth and just as great as a regular lip stick. They're available on Amazon for $6.97 and range anywhere between $7-$9 at most drug stores. This set is sure to be greatly appreciated by anyone on your list who is obsessed with lashes. It comes with two deluxe sample sizes of mascara. One is a primer that is applied to the lashes first to give it length and volume, while the other is applied right after and will darken the lashes, curl and condition them. This is the perfect stocking stuffer for any mascara lover! Available from Sephora. Soap & Glory is a new brand at Shoppers Drug Mart but has been a brand favourite internationally. The packaging is nice, fun and girly, but the product inside is also great! It's nourishing and has a nice scent. Hand cream is very important if you live in a part of the world that has cold and dry seasons. This is a great gift to give because it's not only useful but is also quite popular. Available at Sephora and Amazon. These mini glitter eyeliners from Sephora are cute, glittery and fun! These would be great to give to anyone who likes to wear glitter during the winter months (or any time of year for that matter!). With five great colours, these are sure to add sparkle to any gift. Available from Sephora.